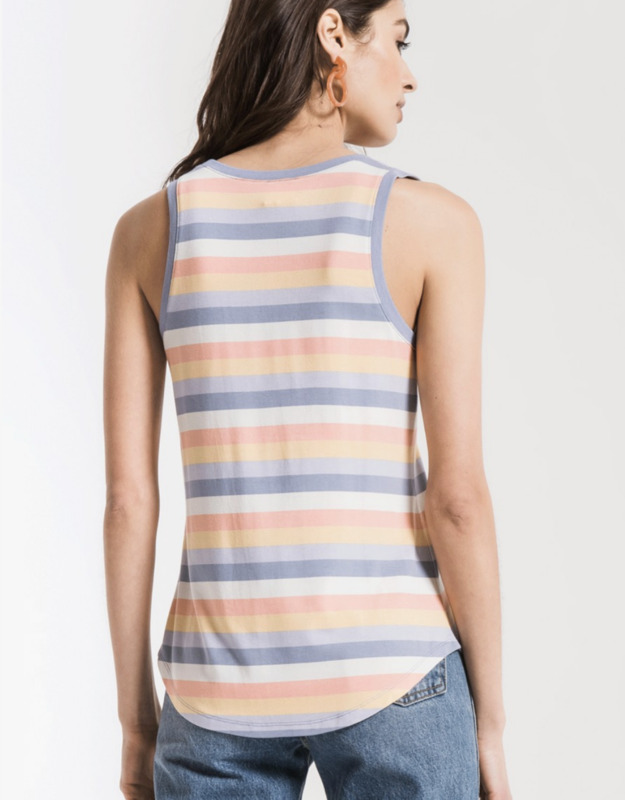 Z Supply took their sleek jersey tank and added a ray of rainbow colored stripes to give you a stand-out new favorite. 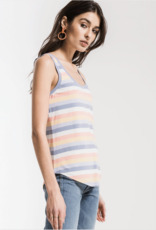 Featuring a sleeveless tank, scoop neckline with contrast rib banding, scoop bottom hems, and relaxed fit. 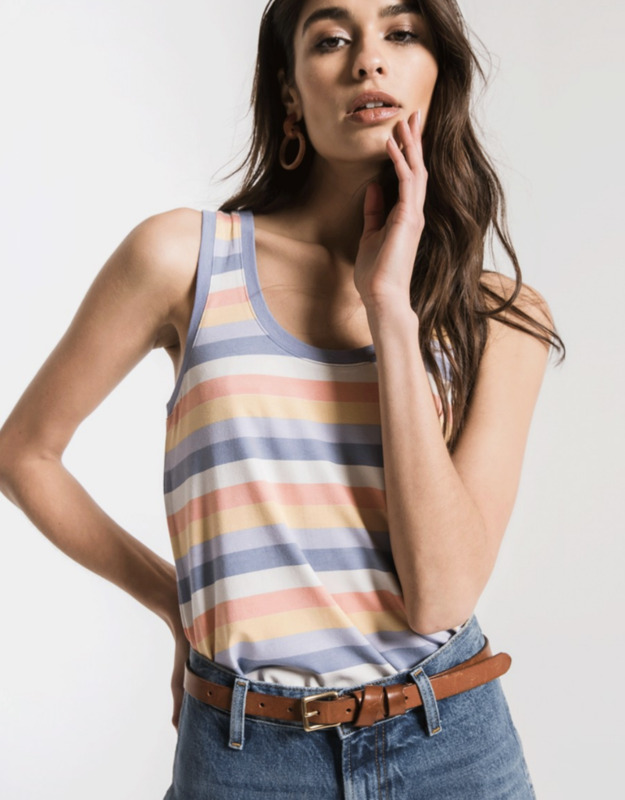 Wear rainbow head to toe with matching shorts. 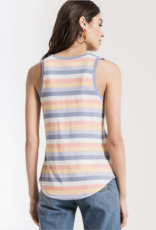 Soft shorts with scalloped side hems, contrast side panels and elastic waistband, and a drawcord tie front.